Tiny grayish brown monkeys with yellowish highlights and naked faces. Length: 6.5″-9″ (16.5-23cm) including tail. weight: 4-7 oz. (113-198g). Flooded and riverbank forests within the upper Amazonian rain forest. Especially, the tangled branches and dense foliage of the high canopy below tree top level. South America; western Brazil, southeastern Colombia, eastern Ecuador and eastern Peru. Sap or tree gum, insects, flowers and fruit. This sociable monkey lives in family groups of 4 to 15 animals. 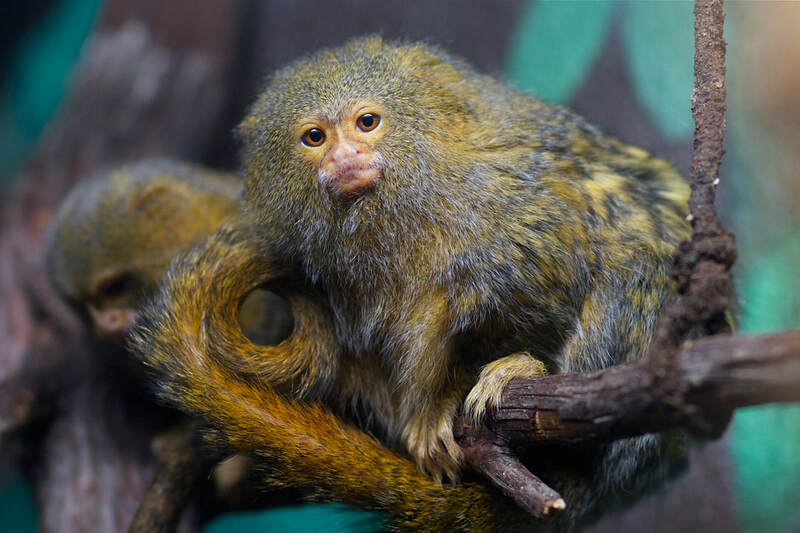 The group defends their territory from other Pygmy Marmosets with noisy calls and chases to protect their favorite food–tree sap. Threatened primarily by habitat destruction and the illegal pet trade. 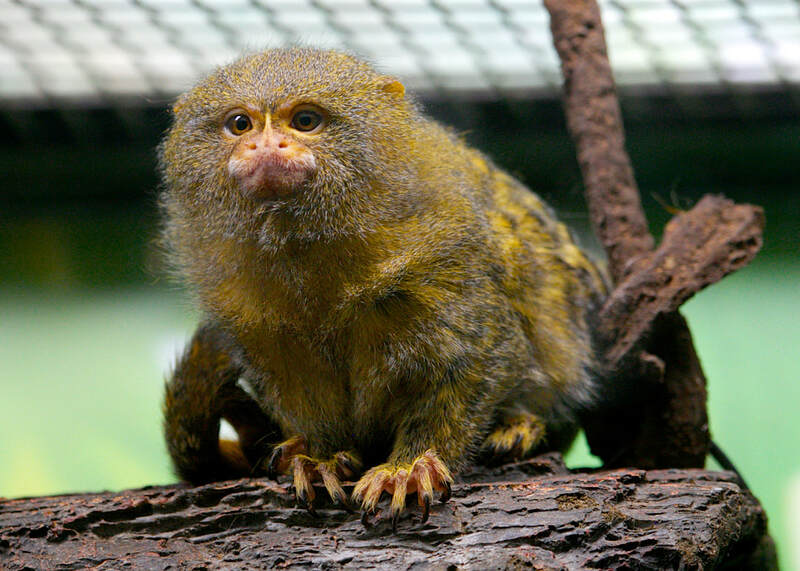 Unfortunately, Pygmy Marmosets face the same problems that many creatures face worldwide. As more suitable habitat is developed these amazing creatures are forced into progressively smaller, less suitable habitats. This is particularly true in the world’s shrinking rain forest regions which are home to more than half of the planet’s species. Frequently, biologists lack basic information on many species. Without accurate information, especially population numbers, it becomes very difficult to adequately protect such wildlife. As with most other “cute” animals, they are too often collected and over-collected. In this case, the illegal pet trade further reduces their numbers. Pygmy Marmosets are one of the world’s smallest primates. They weigh less than a navel orange and could sit in the palm of your hand. Some of their calls are so high pitched that you can’t even hear them!